If you’ve ever taken an introductory psychology class, one thing that you’re bound to encounter is ‘the cup’. Now, this cup is unique in the fact that scholars and non scholars alike seem to wage a fierce debate over the contents of said cup. One side says that this proverbial cup is half empty, and the opposition adamantly argues that the cup is, in fact, half full. 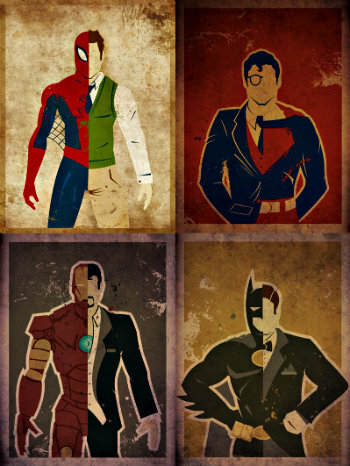 The exercise of viewing the glass within these parameters is said to tell you something about your personality. If you see the cup as half empty, you’re generally considered a pessimist. Viewing the glass as half full, then, makes you an optimist. For many years it was thought that a person’s perception of events as optimistic or pessimistic was hardwired, meaning people had to deal with what they had because there was no way to change it. However, contemporary science says otherwise. Research and literature published by Martin Seligman, Ph.D, contradict the current belief. Before we take a look at how that works, let’s make sure everyone is on the same page. Although many people have a different definition of what pessimism is, pessimism shall be defined as the perceived meaning of events as inherently negative and discouraging. This includes persistent blaming of oneself, viewing failure as unrealistically long lasting, and low sense of confidence. These types of perception are usually brought about, or worsened, by negative self talk. Optimism is the exact opposite of pessimism (who would have thought.) Optimists approach problems from a position of empowerment. Some see overcoming adversity as a challenge, one that they will gladly attempt to conquer. Unfortunately, will is not always enough to solve problems. When optimistic people are confronted by failure, they view it as temporary and attribute the failure to the situation or as a matter of circumstance. Now that we’re using the same terms, there is something else that we should consider before looking at learned optimism. To understand how it works, it’s important to understand why people turn out the way they do. Cognitive psychology, a branch of psychology that deals with people’s thoughts and perceptions, also known as cognitions, holds explanations to why we have the orientation we do. One such theory suggests that one way people learn is via social learning. That is, people emulate and duplicate behaviors that they observe in their environment. While this might not seem important to people who have developed identities, people who do not have a strong character, like children, are highly impressionable to social learning. If their parents do not cope with stress in an optimistic manner, the children are likely to copy the pessimistic attitudes and behaviors. If such habits persist into the long term, people are at an increased risk for learning the opposite of learned optimism, learned helplessness. Learned helplessness is detrimental to optimistic thought patterns, as it perpetuates an attitude of apathy. Helpless people believe that whatever is going on in their life is out of their control, so it doesn’t matter what they do. Fortunately, this works in the opposite direction, too. If parents show their children positive, or optimistic, ways to cope with their stressors, then those children are more likely to combat helpless behaviors. The more positive regard you show your child, then more they’re going to replicate it. Now it’s time for the big reveal. The following section will cover how learned optimism is used to change people’s perspective. If your base level of optimism isn’t very high, don’t worry. In fact, it means that you are at the level where learned optimism can be the most beneficial, but more on that later. The next step is to assess people’s reaction to negative situations. To do this, Seligman created a system based off Albert Ellis’ ABCs. His system, ABCDE, adds two more steps. The first three letters stay the same: Adversity, Belief, Consequence. The additional two in the new system stand for D-Disputation and E-Energy. If this is a little confusing, this should help. Adversity– This is the event that causes stress. Consequence– The resulting action from the belief caused by the adversity. Energizing– Once a person is able to condition themselves into positive thoughts and behaviors in response to A, B-D will eventually lead to a person feeling more energized. To start to affect change, one must first understand their own beliefs and reactions to adversity. An efficient way to do this is to use a journal to document natural reactions to adversity. After a couple of days, the journal should be revisited and examined. Patterns of pessimism should be taken into note. After all entries are examined, brainstorming on how to replace negative thoughts and behaviors with positive ones should begin. If this seems familiar, this is because it is the D phase in Seligman’s model. After repeated use of this practice, a person’s behavior’s should start to become more optimistic. And just like that, you have learned optimism. YES! There is hard evidence that becoming an optimist is good for you. One such benefit is that it can increase physical health. Most stress is dangerous to the body. Increased levels of stress have been linked to high levels of inflammation, weaker immune systems, increase in headaches, and a whole bunch of other somatic symptoms. Now, optimists aren’t magically exempt from stress; however, they do seem to manage stress more efficiently than others. Rather, they have a way of dealing with stress so that the stress disappears at a faster rate than pessimists and normal people. Your mental health could benefit from this, too. In a study that was done at the University of Pennsylvania, students who practiced learned optimism techniques reported less cases of moderate to severe depression than the control group. Another mental health problem, anxiety, was also monitored. Learned optimism students showed decreased levels of anxiety issues as well! The increase of mental wellness, or therein lack of depression and anxiety, led to students who practiced learned optimism techniques saw correlating physical benefits as well. Learned optimism was noted to have another effect, too. People who practiced their optimism skills are reported to be more successful in the world of business. Again, the reason is not because optimists have some magical power. Recall the ABCDE model. Once you’re in the full optimistic attitude, a benefit is improved energy, and with more energy, there is usually an increase in productivity. The more productive you are at work, on average, the more successful you will be. So there you have it. What was once thought to be impossible to change has evidence to suggest otherwise. If you’re interested in continuing to learn about the issue, then perhaps you might check out Martin Seligman’s book on the subject, or read the research for yourself, so you can come to your own conclusion. There is nothing inherently wrong with seeing the glass half empty. Sometimes it could be helpful. However, that doesn’t mean you shouldn’t take a look at the benefits of being an optimist! If this topic interests you, then this could be the perfect time for you to check out Martin Seligman’s book, ‘Learned Optimism’. 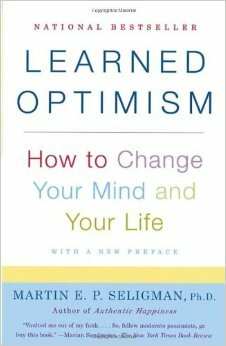 The book gives a scientific, yet engaging, explanation of the benefits of learned optimism. Learned Optimism by Martin Seligman is available for purchase on Amazon, Barnes and Nobles, and other book outlets. A recent UK study examined the effects of optimism on the predictability of injury and post injury performance, and found that as levels of optimism increased in sportsmen and women, the likelihood of injury occurrence decreased. It seems that optimistic individuals are in active promotion of their health. They better manage rest and nutrition, and exercise at an appropriate intensity, frequency and duration. They’re also found to lack a stress response during demanding physical situations. Optimistic individuals returning to their sport while still recovering are less likely to experience negative feelings such as dispiritedness, restlessness or isolation, which heighten the probability of repeat injuries. Optimists and pessimists are characterised by general expectations that their outcomes will be respectively positive or negative. While research has shown that optimists experience better mental well-being than pessimists, it can be hard to become or remain positive about the future throughout life’s hardships. Research has shown that imagining a best possible self (BPS exercise) can increase optimism. Imagining the best possible self involves thinking and writing about a future self characterised by ideal circumstances and achievements. Researchers at Obero University found that students who thought, wrote and reflected about their best possible selves were more optimistic about their future than students who did the same about a typical day in their lives. The authors speculate that this is because picturing the best possible self is linked to goals. One will experience greater optimism with increased progression towards a goal. Indeed, thinking about a positive situation is thought to have the same effect as behaviour that brings a goal closer, leading to increased confidence in one’s successes. Numerous studies have found that optimism is consistently related to longevity, besides the physical and mental well-being benefits compared with pessimism that have been mentioned before. A US study of nearly 100 000 students found that people who are optimistic are less likely than those who are pessimistic to die from Coronary Heart Disease (CHD) or from any other cause over an eight year period. Similar studies have also confirmed this link between optimism and good health. The belief that good things will happen in life is called dispositional optimism and it has been strongly connected with improved recovery rates after surgery and improved cancer survival rates. Discovery Health. Learned Optimism Yields Health Benefits. American Psychological Association, 1997 Learned Optimism Test.” Learned Optimism Test. N.p., n.d. Web. 15 Oct. 2014. Learned Optimism Test.” Learned Optimism Test. N.p., n.d. Web. 15 Oct. 2014. Schulman, Peter. “Applying Learned Optimism to Increase Sales Productivity.” The Journal of Personal Selling and Sales Management 19.1 (1999): 31-37. 1999. Web. 15 Oct. 2014. “My cup is half full” said the man with the smile. ” Mine is half empty” said the man with the frown. whether he is up or down. Glad you enjoy it Marie and thanks for leaving a comment! I apologize if this was already made clear, but I wanted to know if you are the author of this article? Hi! This is really important in our study we used seligman’s study in our thesis but I need to know if learned optimism is just a study or a theory? Can you classified this as a theory? And can we put this on our theoretical framework? Please answer. Great article, Seph! And the title is high on emotional content! Cheers! That is a great question. Learned Optimism is something that can be self taught, but that does not mean it is always easy to teach yourself. You offer a really important scenario. The key features that are associated with depression and anxiety can make it hard for people to really get into the the process of learned optimism. Depressive patients can have serious motivational problems getting into the habit of learned optimism. It can be hard to do anything, let alone get out of bed. However, that is not to say that it is impossible for them to learn. 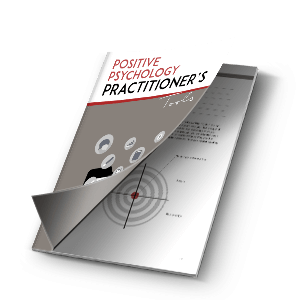 Martin Seligman did not start out with the idea of positive psychology, it came to him when he was doing his work. That is why there is a way for therapists and Positive Psychology coaches to really incorporate it into their sessions. And its not that much different for anxiety sufferers. Their constant worry and preoccupation with disaster often makes it hard to focus on ways to maintain a learned optimistic perspective, short of them being being naturally optimistic. Again, treatment coupled with positive therapy can definitely make it possible for anxious people to learn optimism. In context to your question and the answer above, it is also important to take into consideration what severity the patient has. The DSM-V (Diagnostic and Statistical Manual for Mental Disorders Fifth Edition) provides three levels to diagnose someone with a disorder: Mild, Moderate, or Severe. People who have a mild form of a some disorder (i.e dythimia disorder) would have a much easier time self teaching learned optimism than someone with moderate or severe depression. In short, yes. You there are ways to teach yourself how to incorporate learned optimism into your life without having a positive psychologist or a therapist teach you. Though, they can be very powerful aids. If you, or anyone else reading this comment has a medical concern, I would recommend seeing your PCP, mental health clinician or a psychiatrist at your earliest convenience. I have a question. Is learned optimism something that we can teach ourselves if given this circumstance? I can imagine it’d be problematic if a victim of depression or anxiety and the like to get themselves into the process of learning optimism. This is because they may be pessimistic and helpless about learning it in the first place unless they have someone to coach them in the right direction. Let me know what you think. Optimistic people have a better control of themselves and this attitude keeps them being healthy. It all has to do with the prevention of negative attitudes that eventually may lead to illnesses such as stress or even isolation. Mental stability is the key element of our well-being, but is this attitude innate or can we learn to be optimistic? There are many workshops that have been created specifically as an attempt to increase our happiness, for instance, it is said that smiling increases our self-esteem and affects our mental status, but can we teach our mind to change its way of perceiving reality towards a more positive one? Negative energy attracts misfortune, does this imply that depending on the attitude that we have towards life we can have an influence on our fate? Optimism is supposed to lead to longevity, success and well-being and it has been proved that optimistics pass on their energy, therefore it is extremely important to be surrounded by them. As a piece of advice if you are a pessimistic person that tends to experience negative feelings, apart from working out and eating healthy try to be surrounded by optimistic and to benefit from the energy they produce because as Einstein said, energy is not create or destroyed, it can only be changed from one form to another. Great positive psychology blog by the way! Thanks for sharing! I agree. This is a pretty powerful mindset. The research that has been done shows that it can be a very beneficial one, too! I find it so uplifting to know that if the right steps are taken, people who do not experience optimism naturally will be able to improve their lives with it! I, too, need to get on reading the book in its entirety. I’m happy you show such an interest in learned optimism and positive psychology! If this one interests you, there is an article on the site on positive psychotherapy that you might enjoy as well, if you have not already read it. Great article and contribution Paul. Keep on writing. Thank you for your kind words. I’m only reporting the research. 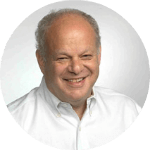 Martin Seligman is the one who has made contributions. As a psych student,though, I feel obligated to help the readers of this site stay informed and report on ways to help them better their lives. I intend to write as much as I can in the time that I am with Positive Psychology Internship. Hi! I’d like to tell you that I’m new to the website but I already love it! Congratulations on the amazing work! What matters is how much you appreciate what you have in your glass :). Thank you so much and welcome! Positive Psychology Program welcomes you with open arms! We hope that you’ll like our other content just as much as this one! Also, that’s a really powerful quote. I think Schneider has a pretty good point. Sometimes it’s hard to appreciate your glass and what you have in it, but thankfully, positive psychology has made advancements to help people who have such a hard time. I hope to hear about your experiences in other contexts through other articles! And again, thank you for the insight and generous compliments!